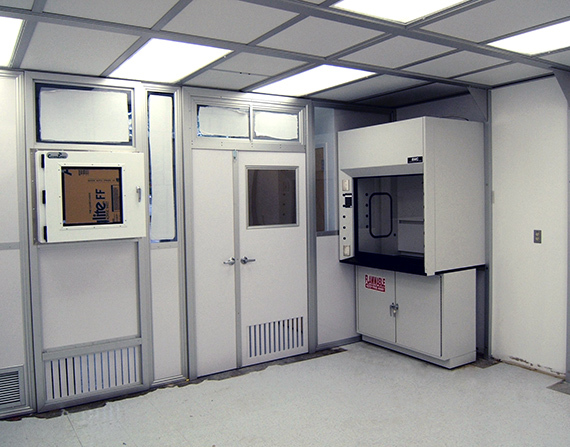 CleanZones, LLC offers our Negative Flow Exhaust Work Stations in two different design configurations and materials of construction to meet your exact requirements. All of our units feature HEPA or ULPA Fan Filter units, recessed lights, clear acrylic side panels to contain the airflow and adjustable solid state airflow control. 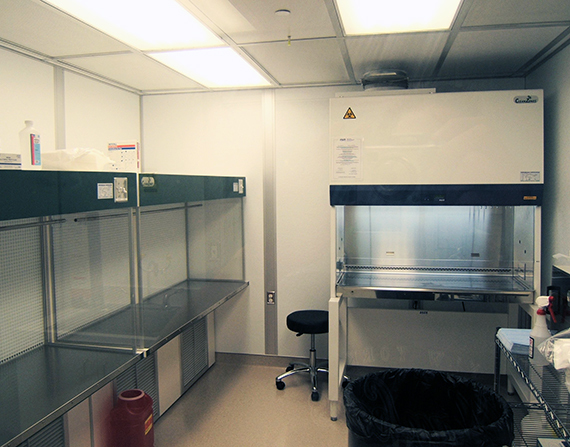 We offer two types of Negative Flow Exhaust Work Stations, Containment Weigh Station Cws Series. Choose the correct type for your application or call and speak to our experienced sales engineer for assistance. 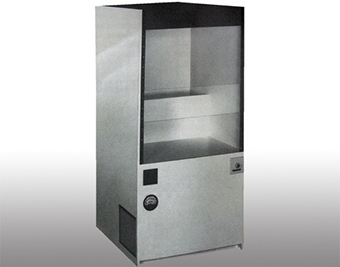 We offer the NFE Series Negative Flow Exhausting HEPA Filtered Workstation units designed for fine powder sampling and weighing. The NFE Series Negative Flow Exhausting HEPA Filtered Workstation provides containment of contaminated air through intake at work chamber. This unit is designed with a three stage filtration process of powders to protect the operator. Air is initially drawn into the work chamber and through 2” MERV 7 high capacity pleated prefilters to collect gross contaminants. The second stage of filtration is with 95% efficient HEPA filters. The air is then passed through an exhaust HEPA filter for removal of any remaining particulates. Use of this exhaust filtration eliminates the need to duct to the outside. The unit is designed with full leg room below the standard 24” deep table top. Completely self-contained, it functions effectively in an uncontrolled area. Special custom products are available without the custom cost for application specific projects. NOT TO BE USED FOR TOXIC FUME REMOVAL OR WITH ANY COMBUSTIBLE GAS. We offer the CWS Series Containment Weigh Station units designed for fine powder weighing. 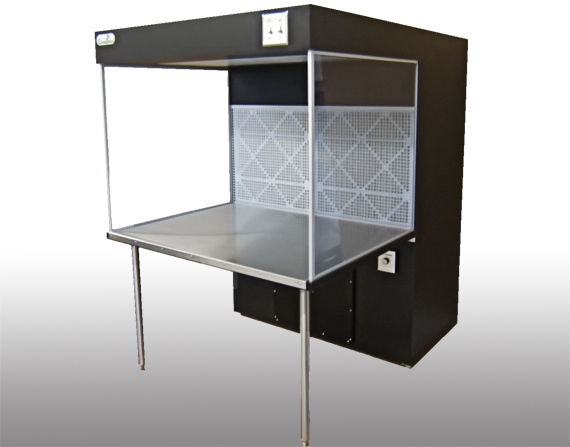 The CWS Series Containment Weigh Station provides containment of contaminated air through intake at work chamber. The confined work chamber prevents airborne dust/powder from escaping into the plant atmosphere or cross-contaminating other products. The dual sliding shields adjust to any desired height for exacting sampling and weighing processes. The initial disposable bag filter collects gross contaminants, and then the air passes through exhaust HEPA filters. The CWS series allows for extremely low intake velocities, protecting the accuracy of highly sensitive scales or measuring devices. Completely self-contained, it functions effectively in an uncontrolled area. Special custom products are available without the custom cost for application specific projects.